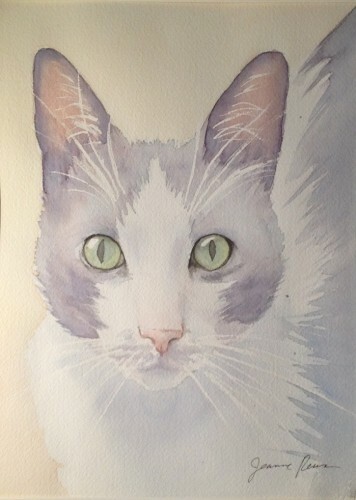 Original watercolor portrait of a special cat, “Tonks”. Approximately 9×12 inches. This entry was posted in Paintings, Watercolor and tagged Blue, cat, painting, purple, watercolor, white, yellow. Bookmark the permalink.